My husband, Tim, and I recently saw a preview for a movie called J Edgar. 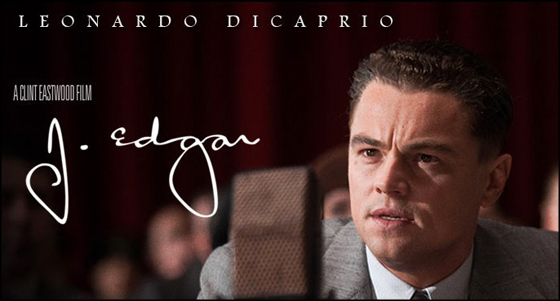 Leo DiCaprio stars as J Edgar Hoover, as a young man until his final days. I don’t know that we will see the film, although I am sure it would be educational. I know nothing about Hoover, his life, or the rise of the FBI. In the trailer, DiCaprio, as Hoover, uses a familiar line while trying to recruit a new man for his team. He says, “The only thing necessary for evil to flourish is for good men to do nothing.” Of course, the implication is that this particular good man needs to come work for Hoover in order to stop the evil within our nation. I am sure that the movie will play with that theme on many levels during its two hours of allotted time. What is evil? How do we define it? Can you use evil for the sake of good, without becoming evil yourself? None of these are new thoughts of course, but they might play out in a new way, with Clint Eastwood directing and DiCaprio as the star. Hearing that line in the darkened theater got me thinking about how often I’ve heard it, in political speeches and rallies, in history classes and ethics seminars. Each time, it’s been in the context of the universal, the “out there” of things. It’s a poetic call to action in the world. We can’t simply become complacent and look away. If we do, evil will flourish. Obviously and simply said. But as I heard it this time, I heard it differently. I heard it about my own life, my own self. What if the only thing necessary for evil to flourish in me, is for me to simply do nothing about it? I know that sounds harsh, and I don’t consider myself particularly evil, but it is something worth thinking about. Like most things, I think you can put evil on a sliding scale. I looked it up in the Oxford Dictionaries Online and found that evil can run the gamut from “profound immorality and wickedness” to “something which is harmful or undesirable.” While I may not be aware of the former lurking deep within, I am certainly culpable of the latter. Let me quote one of my favorite poets, Elizabeth Barrett Browning, here. I love thee in my desire to overindulge in rich food, red wines, and salty margaritas. I love thee in my ability to gossip, even if it is only with my husband, instead of everyone I meet. I love thee in my tendency to rail at my children when they drive me crazy. I love thee in my profound distaste for overly pious, or righteous people of any religion, as I judge them just as thoroughly as they judge me. I love thee in my vanity, my ego, and my selfishness. Evil, I love thee in every way that you encourage me to simply be, instead of striving to be better. And I think that is where the line rings true in the universal and the personal. It is so much easier to just be and not think about the ways I fall short, to just shrug my shoulders and say, “Oh well. That’s just the way I am and I’m not so bad after all.” It doesn’t matter if I am letting evil go out there, or in here. I have to act against the temptation to just be every day, or every week, or at least every month. Certainly more than once a year, right? Because if I don’t, those evils are going to flourish. Flourish isn’t just surviving, creeping along, centimeters a year. Flourish is robust, healthy, magnificent growth. It’s what gardeners hope for, a farmer’s dream. The last thing I want is to let those evils I “love” to actually flourish in my mind, body and soul. There would be little room left for the good to grow. So I keep looking for ways to keep those evils in check. None of them are fail proof, but they offer me some tools to keep the weeds at bay. I meditate; I contemplate; I pray. I read good books. I write. I try to talk to my husband about something significant every day. I count to 10. I take a deep breath. I count to 10 again. It’s a start. Posted in Philosophy and tagged as Browning, clint, Elizabeth Barrett Browing, evil. Very well said. So glad I saw your link on Facebook. I’ll be back. Another great one Ali. I am working to keep those weeds at bay as well :). Hey if you don’t follow Karen Maezen Miller (Momma Zen) already, I think you might like her blog: http://mommazen.blogspot.com/. An Interesting frame of reference Ali to look at our less than perfect human nature as an evil to do battle with. Good work.